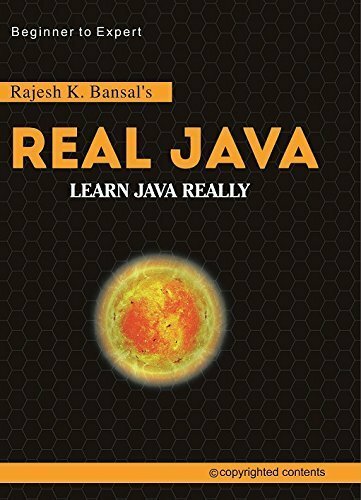 Java was the first programming language, introduced by the Sun Microsystems which is not tied to a particular operating system or a microprocessor. It was originally developed to build software for consumer electronics. Before Java, C++ was used to develop software for consumer electronics, but C++ emphasise on speed not on reliability. In consumer electronics reliability is more important than speed. It occurred to James Gosling to create a new language, which they called Oak. It happened in August 1991. Several years later, Oak renamed to Java. In 1993, Arthur Van Hoff joined Sun Microsystems. He implemented Java compiler in Java which Gosling had previously implemented in C language. In December 1995, Sun announced Borland, Mitsubishi Electronics, Sybase and Symantec, IBM and Adobe to license Java. Microsoft also signed a letter of interest with Sun Microsystems for Java technology source license. Java Development Kit (JDK) is a software development environment used for developing Java applications. It contains tools needed to develop the Java programs and JRE to run it. other tools needed in Java development. i.e., JRE = JVM+Java-API (a collection of prewritten packages, classes and interfaces) +runtime libraries. Java Runtime Environment contains JVM, class libraries, and other supporting files. It does not contain any development tool such as compiler, debugger etc. Actually JVM runs the program, and it uses the class libraries, and other supporting files provided in JRE. If you want to run any java program (.class file), you need to have JRE installed in the system. 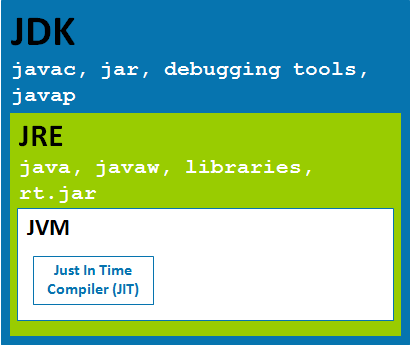 The Java Virtual Machine provides a platform-independent way of executing code. Programmers can concentrate on writing software, without having to be concerned with how or where it will run. But note that JVM itself is not platform independent. It only helps java to be executed in a platform-independent way. When JVM has to interpret the byte codes to machine language, then it has to use some native or operating system specific language to interact with the system. One has to be very clear on platform independence concept. Even there are many JVMs written on Java, however they too have little bit of code that is specific to the operating system.